The book mentions this is about Aya. It isn't. Aya is just a minor character. 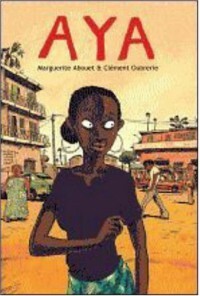 The book is more about her friends Bintou and Adjoua. Which is a shame. I was looking forward to a story about a smart girl in Africa who is aiming to become doctor. What I got... well 2 girls who like to party, 1 ends up pregnant and that is it. So - 2 stars for blurb that isn't right.